Help support our charity partner, The Chicago Help Initiative! The Chicago Help Initiative (CHI) is a consortium of business, residential, religious, social service, institutional and volunteer leaders striving to promote an atmosphere of dignity and compassion toward those in need by providing access to food, health services, shelter and employment. We are largely volunteer driven and staffed and locally supported. We serve an evening meal that also connects homeless to the best social services we can partner with and connects them to each other and to us through peer groups that revolve around common interests like improving education, art, yoga, book clubs and looking for work. 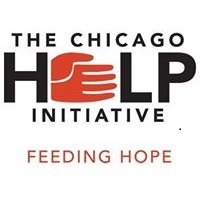 The Chicago Help Initiative (CHI) is a consortium of business, residential, religious, social service, institutional and volunteer leaders striving to promote an atmosphere of dignity and compassion toward those in need by providing access to food, health services, shelter and employment. We are largely volunteer driven and staffed and locally supported. We serve an evening meal that also connects homeless to the best social services we can partner with and connects them to each other and to us through peer groups that revolve around common interests like improving education, art, yoga, book clubs and looking for work.